Social media marketing management services in Nigeria are professional social media services from AdHang to help entities create and manage social media pages, campaigns and publicity. AdHang will employ its advanced social media marketing management tools and sophisticated technologies to manage entity’s social media account: whether businesses, institutions, public figures or events, AdHang has the solutions to achieve numerous social media objectives and goals. Helping businesses and agencies get active social media account and manage around Africa, social media marketing management services by AdHang is dream come through for Nigeria’s companies both private and public enterprise, government agencies, and events’ organizers. 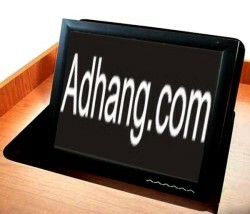 Everything that is needed to keep your brand going and your name in the public will be done by AdHang’s team. Most importantly, AdHang follows international social media marketing management services best practice and standards from beginning, creating campaigns to position and running the sponsored ads. Good news is that AdHang social media management cost is affordable, as of the time of writing this, the basic cost start from N10, 000 daily to a million naira, depends on the things that your organization or business wants to achieve, duration, industry and target audience location. There are numerous objectives hiring AdHang’s social media marketing management service can help your organization accomplish. Objectives such as awareness to let the target audience be aware of something, products or services; enlightening the target audience to foster understanding and effectively engage them; establish the facts or brand; get target audience take action or in case of business increase sales; carry out reminder campaign, in case of business encourage repeat purchase; reinforce benefits, experience or messages, among others. In assisting your organization to maximize its social media presence there are many professional services AdHang can do in Nigeria for the organization. Depends on the objectives, AdHang can help your organization in creating adverts and managing them; video production, publishing and managing the promotion; fan page creation and designing; exemplify image selection and positioning; info-graph designing and publishing; headline writing and internet banner designs, sales posts creation and promotion, case studies writing and circulation, multiple social media websites account sign ups and their fan page designing; social media categories selections as there are thousands of sites out there; data gathering, analysis and reporting, among other services. AdHang’s social media marketing management services in Nigeria is a game changing opportunity in Nigerian social media marketing, hiring AdHang is going to be a biggest stick against rivals, as AdHang will help your organization to accelerate brands recognition across Nigeria and win audience’s attention away from competitors in Nigeria and entire English speaking African countries. For full management details and cost click here.